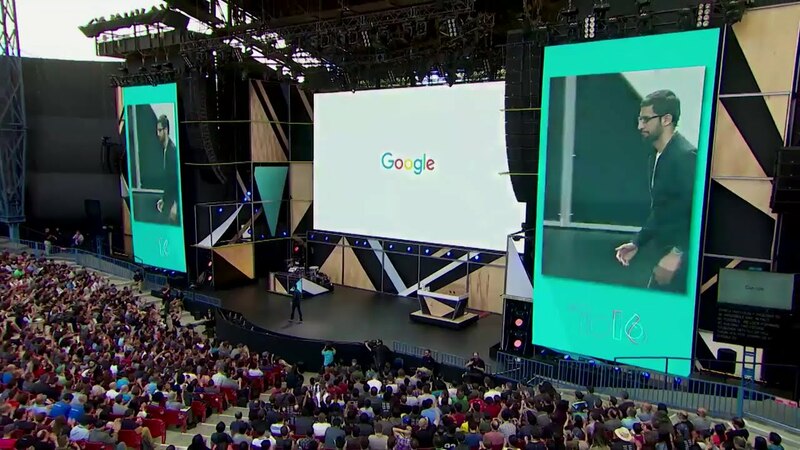 The company that makes smartphone operating systems that you could eat just concluded their one event that matters more than the others - Google I/O 2016, and it was a thriller. Ok, shall we Daydream about it now? Yes, at least we should look forward to some because Google finally has confirmed that they will be introducing a new phone-based VR offering called Daydream. Bye bye Cardboard, you did well. This new VR standard will be built right into the company’s upcoming OS Android N and offer major enhancements over current smartphone based VR offerings. These include reduced latency and notifications that enter and leave your virtual viewing space in the most intuitive manner possible. Should you be interested? Absolutely. Because the biggest smartphone players around the globe including Samsung, LG, Huawei and more will embrace the tech. Accompanying the VR headset would a one-handed motion controller. Google broke our heart by not thrilling us with an actual prototype at the event, we were instead asked to be happy with a drawing. However, Google has promised that the developer kit would be out this year and a proper consumer level unit should make its appearance in 2017. Or shall we go Home? You absolutely loved the Amazon Echo didn’t you? Well, Google too must have loved it and thought, “Hey, why don’t we make the same thing? Only better?”. That’s how Google Home was born. It is a cutesy little speaker, powered by a smarter version of the Google Assistant. It can be a slave to your commands and tell you the correct spelling of the word “pneumonoultramicroscopicsilicovolcanoconiosis”, or order a Blu-ray movie from an online store and more. Expect this one to hit the market by the end of the year. Finally, pretty finally at Google I/O 2016 we found out that Google will release its modular smartphone Ara into the market and after watching the videos, boy are we excited. Once out, Ara will open a universe of possibilities as you get to change your smartphone according to your daily needs. Need to listen to music with your friends? Swap the extra storage module with high-resolution speaker unit, need high-end photography to be done in the wild? Switch the regular 10MP camera with a 40MP one. Sounds cool already, doesn’t it? Hangouts, yes we do have a love-hate relationship with it, but for the most part, it's still a useful messaging app. But, Google’s new text messaging app Allo wants to woo you with enticing new features like Google Assistant. When you converse with your friend or just about anyone, the assistant can pull up info from the web, and even suggest contextual information, like a chatbot. But ever since Facetime happened, there has been a surge in video chats worldwide. Google wants in on that with its new app Duo and it has at least one trick up its sleeve, with a rather cheeky feature called Knock Knock. What it does is that it gives you a visual preview (yikes!) of your caller, thus informing you about his/her mood or situation. You could then choose to take or reject the call. The apps will be available on Android and iOS soon but we can’t help but wonder about the evils of the Knock Knock feature. Wouldn’t be long before you receive a call and end up finding objectionable content on the other side. Just saying.